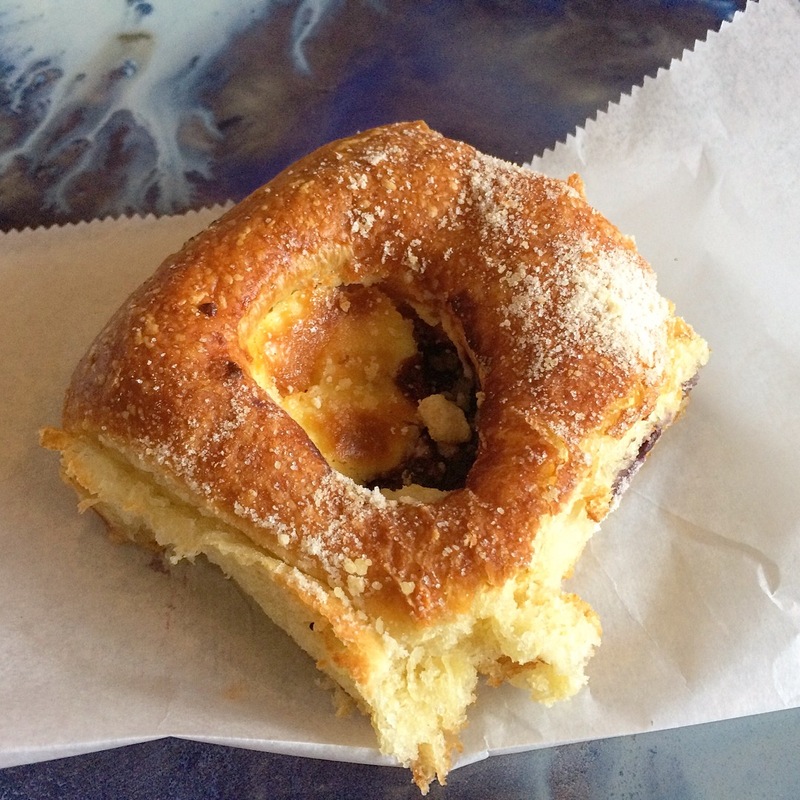 You can track down the sweet and savory Czech pastries known as kolaches as well as select coffee and tea in the namesake bakery, Brooklyn Kolache Co. at 520 DeKalb Ave. These folks have ported small-batch Texas style kolaches to Bedford-Stuyvesant, “Deep in the Heart of Brooklyn”. Texas style? Yes, it’s a thing – and they’ve taken care to keep everything as sustainable, locally sourced, and organic as possible. 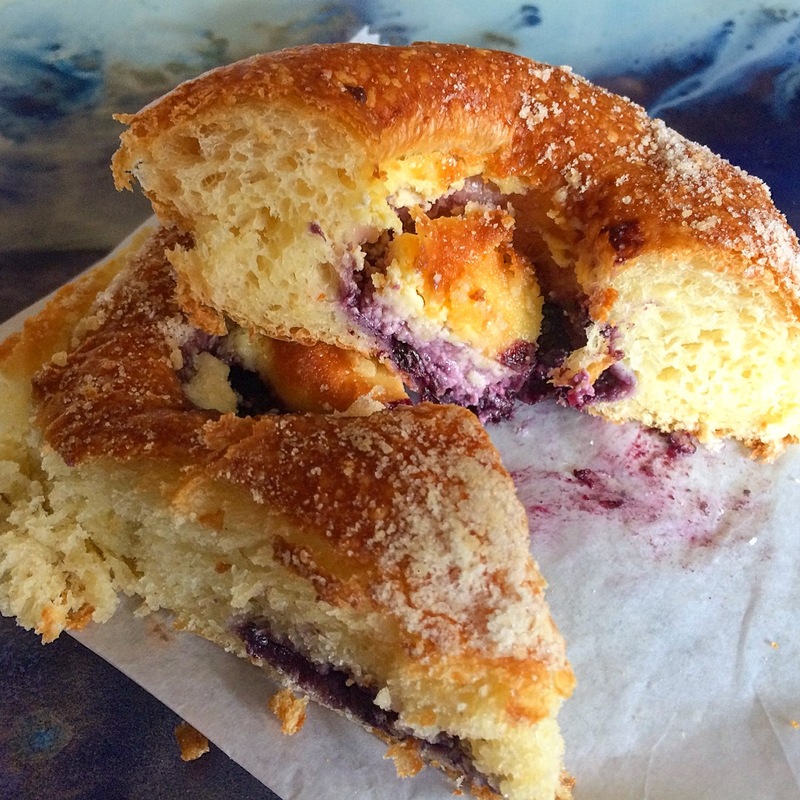 This puffy blueberry cheese kolache made a righteous quick breakfast. Second photo shows a peek inside. Got Milk? (Milk chocolate, that is.) Czech! 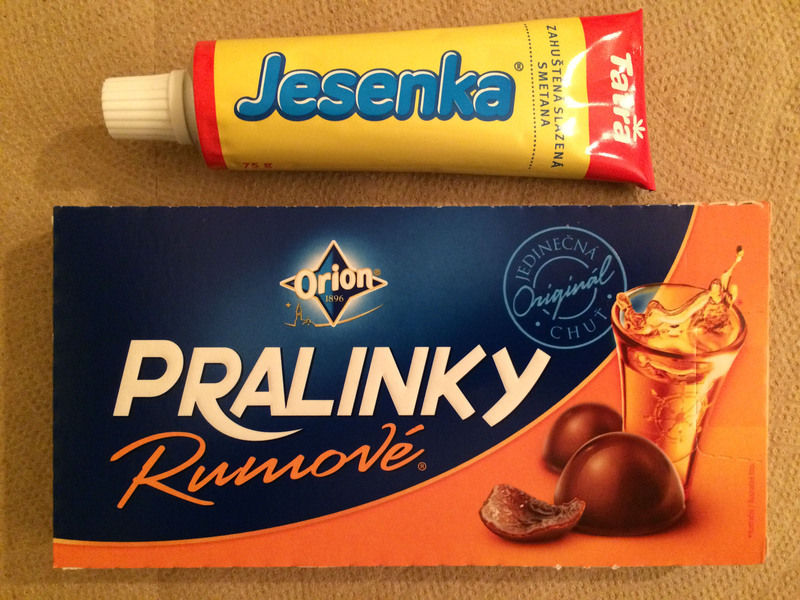 Some years ago I wandered into Slovak-Czech Varieties expecting only that I’d find a broad enough spectrum of Eastern European treats to pique my ethnojunkie palate. I bought a bit of this and that and, innocently enough, a bar of Studentská Pečet milk chocolate with nuts and sour cherries. Little did I realize at the time that I had just purchased what was to become a persistent craving and the stuff of which daydreams are made. Settling back down to earth, my frenzied jones now satisfied, I realized that there was much more to Slovak-Czech Varieties than their formidable selection of candies. 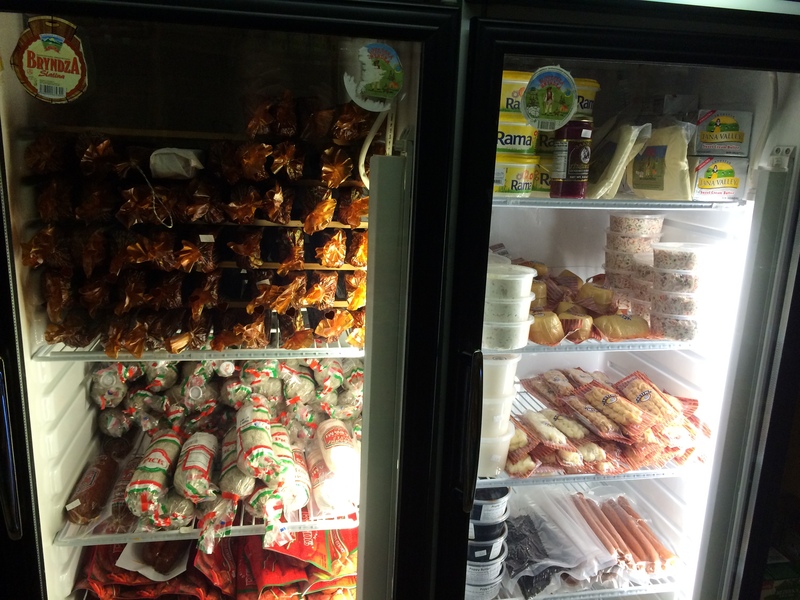 Their stock hails from the Czech Republic, the Slovak Republic, Hungary, Germany, Croatia and Poland. As a matter of fact, you could put together a pretty tasty meal just from their assortment of artisanal sausages (such as a delicious Hungarian dried sausage called csabai, available in sweet or spicy variations), smoked cheese, mustards and the like. You’ll also find unusual sodas in flavors like pampeliška (dandelion), gaštan (chestnut), and mateřídouška (thyme). 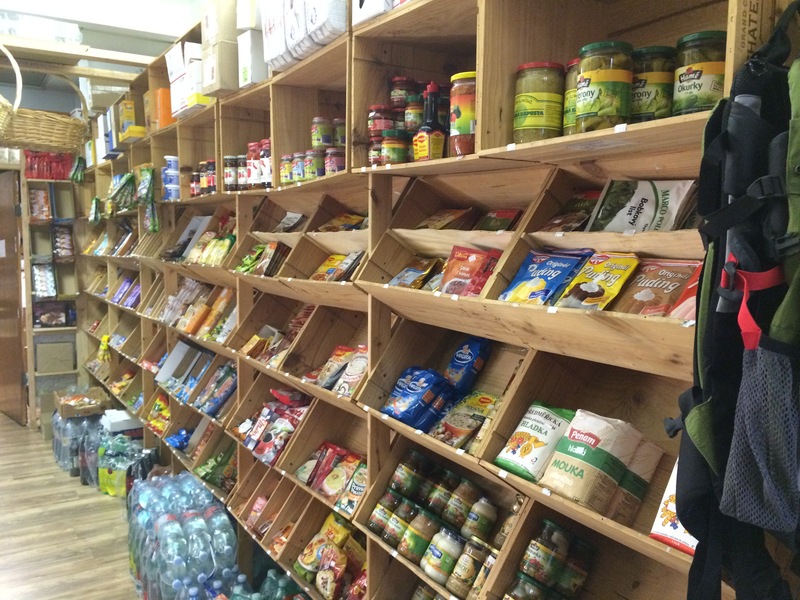 A wide assortment of packaged mixes, both savory and sweet, rounds out the selection of merchandise. And they’ve just recently set out a selection of Christmas specialties including chocolate Christmas tree ornaments and seasonal cookies and treats. Co-owners Milan and Jarka are more than helpful, answering questions, offering recipes, and translating the cryptic labeling. But beyond their eagerness to please lies another interesting story. 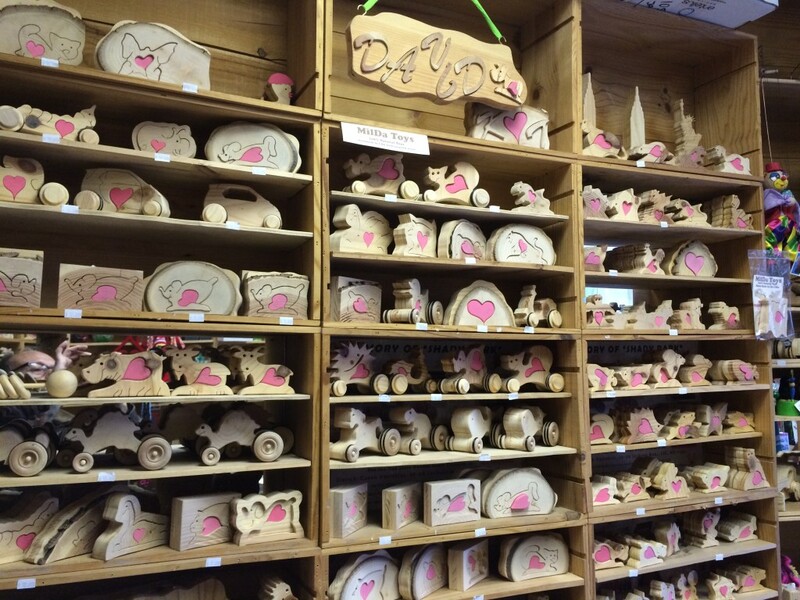 As you enter the store, you’ll see a set of shelves crowded with adorable hand-crafted wooden figurines, from endearing animals to charming little pull-toys. Milan told me that making these toys is his hobby and he’s been doing it for about 40 years, having started in his homeland in his late teens. “It’s what we did to pass the time on winter nights; we didn’t have television or computers.” He fashions the toys from wood that boxes of wine were delivered in, laminating layers and honoring the “imperfections” (like knots or the grain) “just like Tiffany did with his glass,” he explained. Seems to me that one of those toys plus some Christmas goodies sure would make a kid happy this time of year. 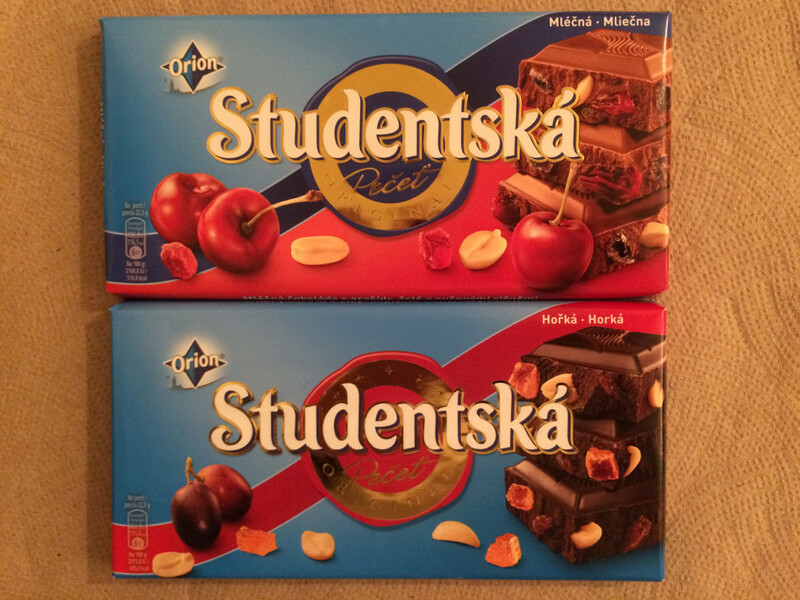 Not to mention a bar of Studentská Pečet milk chocolate with nuts and sour cherries for the shopper!